In an effort to provide even more options to meet the growing range of patient needs, Allergan is once again evolving and expanding their hyaluronic acid dermal filler technology with the launch of JUVÉDERM VOLLURE™ XC. JUVÉDERM VOLLURE™ XC was recently approved by the U.S. Food and Drug Administration (FDA) for the correction of moderate to severe facial wrinkles and folds, such as nasolabial folds, in adults over the age of 21. JUVÉDERM VOLLURE™ XC is the first and only hyaluronic acid dermal filler FDA-approved to last up to 18 months with optimal treatment. Both JUVÉDERM® Ultra Plus XC and JUVÉDERM® Ultra XC share this indication, however, JUVÉDERM VOLLURE™ XC offers a longer duration. 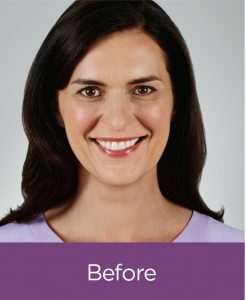 Because JUVÉDERM VOLLURE™ XC delivers subtle, soft volume, it is for the nasolabial folds, which are the most requested dermal filler treatment area. About half of all dermal filler patients receive treatment in this part of the face. Patients want a product that is long-lasting. So it’s particularly exciting that JUVÉDERM VOLLURE™ XC is the first and only hyaluronic acid dermal filler FDA-approved to last up to 18 months in moderate to severe wrinkles and folds such as the nasolabial folds. The most common side effects of JUVÉDERM VOLLURE™ XC were temporary responses at the treatment site such as swelling, tenderness, bruising, firmness, lumps/bumps, redness, pain, discoloration and itching. Most of these side effects resolved within 30 days. One of the rare risks with using dermal fillers is unintentional injection into a blood vessel. Complications can include vision abnormalities, blindness, stroke, temporary scabs, or scarring. JUVÉDERM VOLLURE™ XC will be available to patients in April 2017 and will be part of the Brilliant Distinctions® program at launch. 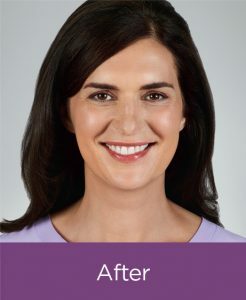 For more information about JUVÉDERM VOLLURE™ XC and the JUVÉDERM® Collection of fillers or to find a doctor, please visit www.juvederm.com. How does JUVÉDERM VOLLURE™ XC fit into the rest of the JUVÉDERM® Collection of Fillers? The JUVÉDERM® Collection includes a spectrum of fillers specifically designed for different treatment areas and patient needs. 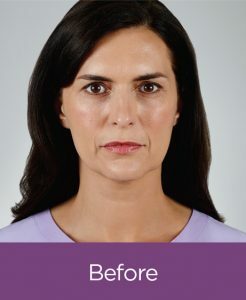 JUVÉDERM VOLLURE™ XC brings VYCROSS® technology to the most requested dermal filler treatment area – nasolabial folds. JUVÉDERM VOLUMA® XC and JUVÉDERM VOLBELLA® XC are also formulated with VYCROSS® technology. How does JUVÉDERM VOLLURE™ XC compare? 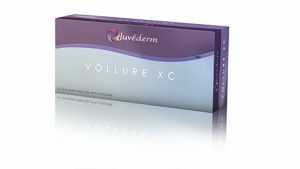 JUVÉDERM VOLUMA® XC is specifically tailored to add volume and is indicated to correct age-related volume loss in the cheek area. JUVÉDERM VOLBELLA® XC is designed to be a soft, smooth gel indicated for the lips and perioral area. 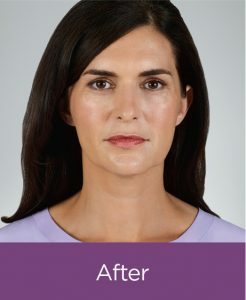 JUVEDERM VOLLURE™ XC is tailored with a unique balance of gel properties to be firmer and more cohesive than JUVÉDERM VOLBELLA® XC, but less firm than JUVÉDERM VOLUMA® XC, making it appropriate for smoothing moderate to severe facial wrinkles and folds. It seems like JUVÉDERM VOLLURE™ XC is very similar to JUVÉDERM® Ultra Plus XC. What sets them apart? JUVÉDERM® Ultra Plus XC and JUVÉDERM VOLLURE™ XC are both indicated for correction of moderate to severe facial wrinkles and folds (such as nasolabial folds), however, they are uniquely formulated. JUVÉDERM® Ultra Plus XC is a more highly cross-linked, robust gel, while JUVÉDERM VOLLURE™ XC adds subtle, softer volume.